If you’re on your feet all day, you may have noticed pain and swelling in your legs. 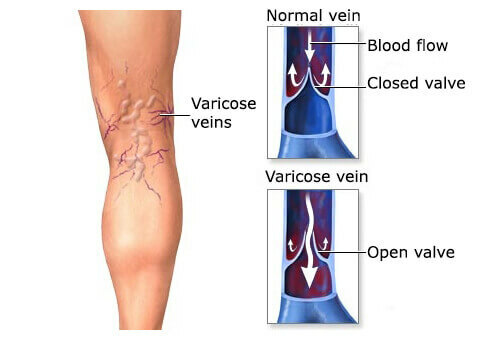 Once aware of them, you may want to treat varicose veins – and fast! Rid yourself of this unsightly condition. You can do so naturally, without resorting to desperate measures. Follow our guidelines and you can avoid surgery whilst improving the appearance of your legs. Ready to give it a go? What do you know about varicose veins – apart from the fact that they’re not easy on the eye? Why are they so good at causing inflammation in the skin? Poor circulation is the main culprit. When the veins don’t do a good job of returning blood to the heart, all sorts of issues can crop up. Genetic factors are often to blame, but a sedentary lifestyle coupled with an unhealthy diet can contribute greatly to its onset. Blood settles in the calf area and causes tingling, cramping and sensations of heaviness. It’s not pleasant, so you’ll want to do what you can to solve the problem. This is an easy, safe and natural mask. Whip it up in minutes, but apply it every day. The components are easy to find and won’t cost you a packet. Even if they did, it’d be worth every penny. This remedy is remarkably effective. You’ll see. The first step in concocting this homemade mask is to take blend or process the carrot well. Make sure that the end product is smooth and free from lumps. Now, add your aloe vera to your carrot pulp. Use the same proportion of aloe vera to carrot. 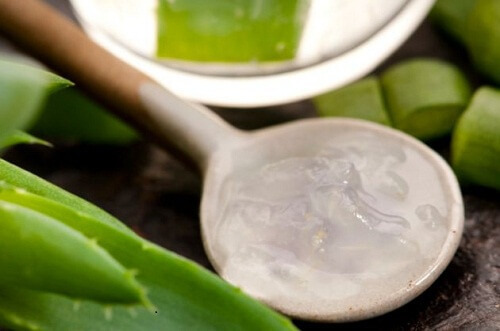 If you are extracting gel from aloe leaves, remove the thorns from the stems. Then, open the leaves lengthwise and use a spoon to remove the gel. It’s time for the apple cider vinegar. Here’s where a bit of guess work is in order. You want to add just enough vinegar to transform your carrot and aloe mixture into a smooth, spreadable paste. Add bit by bit, as you don’t want it to be too thick or too thin. You’re going to have to put it on your legs, so you want it to stay put with minimal fuss. Once you’ve got the balance right, chuck everything in a blender. Mix until creamy. It’s application time. This is specific, so pay attention. Starting at your ankles, massage the mask upwards in circular motions toward your calves. All applied? Good. Now, let the mask rest on your gams for half an hour. When enough time has elapsed, remove the treatment with warm water. Remember what we said about commitment? Apply this mask every day. You can do it when you get home from work, for instance. If you’re too impatient or short on time, you can use cloth or compresses soaked in apple cider vinegar. Place them on the affected veins and leave them for 20 minutes. This is an effective treatment in its own right, but you should still opt for the aloe and carrot mask as often as you can. 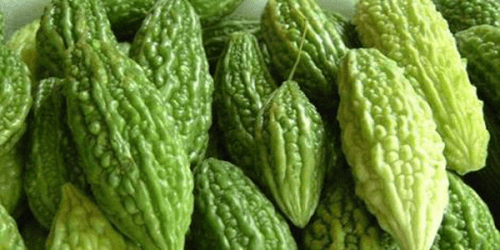 This remedy is not a replacement for a nutritious diet and regular exercise. Try to incorporate a daily walk. 30 minutes at a fairly brisk pace will do you a world of good – and it won’t cost you a thing!